Homepage | The Language Key Ltd. The Language Key is an established language training consultancy based in Hong Kong. Our focus is on corporate language training in English and Mandarin, language proficiency testing/benchmarking and soft skills training. Language Key's Short Modular Courses are flexible learning options catering specifically for busy working professionals. 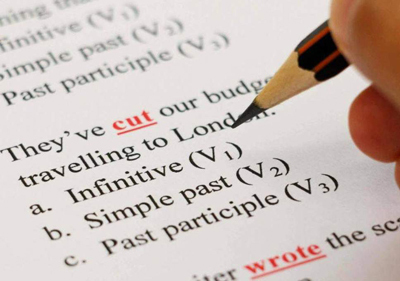 Many staff often find it hard to commit a long period of time to improving their skills, but require an increase in their proficiency, and to understand the most recent developments in business English and communication skills for the workplace. 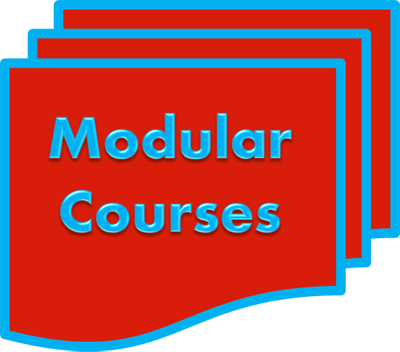 Select from between 4 to 8 modules from our extensive library for fast-track improvements. Executive writing training helps senior executives and management grade positions to develop effective writing skills. Executive writing training helps senior executives and management grade positions to develop effective writing skills for reports and proposals. It gives participants the tools to write concise proposals and reports that provide clear and concise projections, evaluations and summaries. These training sessions are intensive, based on the individual and group's needs. This is an alternative approach to in-house language training using a creative, dynamic and fun approach to learning. "Lunch and Learn" maximises your staff's available time for training during the lunch break. "English Club" encourages staff to practice their English on a regular basis. Both programmes promote a relaxed learning environment where participants can practice their English, develop confidence and acquire key language for their work. For the best possible long-term results, Executive 1-1 Coaching should be the choice for busy senior executives or high fliers. 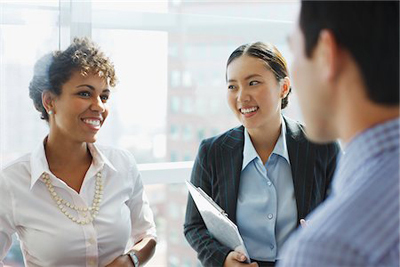 Highly experienced native English-speaking coaches work with executives to accelerate learning, focus on specific needs such as pronunciation & accent reduction, presentation skills, meeting skills and business writing skills. After a face-to-face needs analysis, we'll create a unique training plan for each executive. Combining language skills with your company's customer-service expectations, we offer a unique and completely tailored solution. 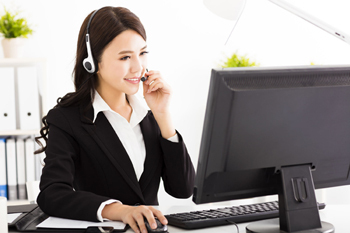 Combining language skills with your company's customer-service expectations, we offer a unique and completely tailored solution to your customer service or frontline staff language requirements. Programmes are tailored to the level of the staff and incorporate scenarios based on the products/services you offer. Your customer service expectations are also taken into account. Training can be done on-site or at your training centre. As an official BULATS agent in Hong Kong, we can offer your company a number of testing and benchmarking options. In addition we have developed our own cost-effective online solution for company wide benchmarking. Our services also include creating specific assessments for graduates, new recruits and rising talent. All assessments are designed to align with a company's internal practices and are graded by qualified BULATS or IELTS examiners. 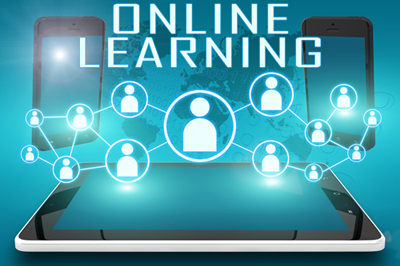 Online learning is often the preferred choice for many companies and organisations. Clients can select from two options to suit their needs. Our LMS-based option targets batches of staff who work across multiple locations and require a flexible training approach. Our facilitator-led courses extract maximum learning benefit from participants. For companies needing a company-wide option, Workplace English Training E-Platform delivers general business English training benefiting self-motivated learners. Focusing on the specific needs of Chinese executives, our courses are a blend of soft skills and specific aspects of language. Delivered in workshop format, most programmes are designed to be delivered in one day, generating maximum impact in the shortest time. Training includes coaching, peer feedback, role-play and mock scenarios. Language Key offers in-company Corporate Mandarin training for beginners to advanced levels for both local and international staff. Language Key offers in-company Corporate Mandarin training for beginners to advanced level for both local and international staff. We can help your staff apply their Chinese skills in real business situations and coach them to be excellent business communicators. Using the same tried and tested training methodology that we apply to corporate English training, our highly experienced Mandarin trainers focus on the specific Mandarin your staff require to perform their jobs effectively. Tom Crawford is Language Key's Director of Training and oversees the operations in both Hong Kong and China. 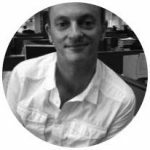 He has worked in the private sector and the corporate training industry for the last 12 years in Hong Kong, Singapore and the UK. Tom Crawford is Language Key's Director of Training and oversees the operations in both Hong Kong and China. He has worked in the private sector and the corporate training industry for the last 12 years in Hong Kong, Singapore and the UK. During this time Tom has delivered numerous corporate training programmes to local and multi-national corporations as well as government departments in Hong Kong and China. Tom has worked with a diverse clientele throughout his career – including companies from the financial, retail, property development, shipping, media and transportation industries. Having also been a copywriter, his experience and knowledge give clients a unique perspective into business English, technical writing, and effective communication. Tom graduated with a BSc Computing for Business degree, and holds a Trinity CertTESOL. He is also a BULATS examiner. 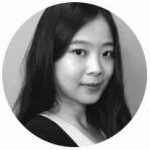 Fion, a native Hongkonger, had the opportunity to live abroad in London to complete her higher education study. During her time at the University of London, she was one of the core members in the Linguistics Society. Fion, a native Hongkonger, had the opportunity to live abroad in London to complete her higher education study. During her time at the University of London, she was one of the core members in the Linguistics Society. Her committee and other Linguistics associations in the United Kingdom worked closely with various International Linguistics Conferences. With her enthusiasm and knowledge in the science of languages, she assisted her professors in a number of tutorial classes. After graduating from university, she remains passionate about language teaching, as well as communication strategies. Therefore, she decided to work in Language Education when she returned to Hong Kong. She worked as an English teacher for a variety of English centers, Secondary schools, NGOs, and private clients, before she joined The Language Key as the dedicated Client Relationship Manager. 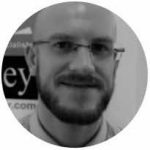 David Phair, originally from London, has worked in the corporate English training market for the past 16 years, first at the Hong Kong Polytechnic University then with Language Key, conducting more than 500 programmes in since joining us. David Phair, originally from London, has worked in the corporate English training market for the past 14 years, first at the Hong Kong Polytechnic University then with Language Key. In that time David has delivered more than 500 programs for local companies, multi-national corporations and government departments in Hong Kong, China and Europe. He is also a BULATS examiner. David uses a personal approach to training that weighs carefully the needs of clients and students then delivers in a practical, accessible and friendly way. David is also a qualified journalist writing for the media and corporations in Hong Kong, Europe and North America. He has taught journalism at the Chinese University of Hong Kong and is an editorial consultant/copywriter for Credit Suisse. We solely focus on Corporate language and communication skills training, both English and Mandarin. We don't do general English! The years of focus have given us an major advantage over our competitors. We spend time truly tailoring a programme to meet a client's objectives. Tailored really does mean tailored! This can involve creating scripts and other learning content based on a client's products and services and incorporating real work samples. The Language Key has designed hundreds of training programmes for all segments of commerce, industry and the public sector and we continually adjust our approach to the changing demands of the modern workplace. All Language Key trainers are native English speakers who come from the U.K., Australia, Canada or the USA. We realise that certain courses require a certain type of trainer and we work with the client to provide the best match. We stand by our results. 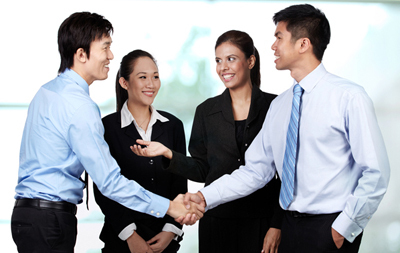 We have 25 years experience training local and international companies in Hong Kong. Our dedication to quality can be checked by references with any organisation on our client list. We have clients who return again and again and have built solid working relationships with us over many years. We never rest on our laurels and work continuously with old clients to make existing training programmes more effective. Language Key has designed and delivered customised speaking and writing programmes for different target groups, including frontline, back-office and manager-level staff. (Writing Skills Workshops) Training Manager, The Bank of East Asia Ltd. Language key has conducted customised speaking and writing programmes for various target groups, including frontline, back-office and manager-level staff. Language key has conducted customised speaking and writing programmes for F&B, front-desk and concierge, housekeeping, spa and recreation, engineering, sales and marketing, back-office and management. Human Resources Manager, Edward Keller Ltd. 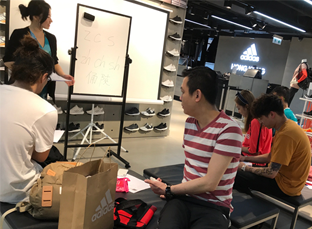 Language Key has conducted workplace English and customer service skills programmes for frontline retail staff of many organisations as well as writing and speaking skills programmes for key staff including QC, sales and business development. Language key has designed and delivered customised writing and speaking skills programmes for mainly back-office and manager-level staff. Language key has designed and delivered customised writing and speaking skills programmes for junior and senior engineers, supervisors, site foremen, frontline property management staff, and mall customer service ambassadors. Language key has designed and delivered customised writing and speaking skills programmes for various target groups, including frontline, back-office and manager-level staff. We have designed and delivered training programmes for most industry types including very niche industries. Please call us to arrange a consultation with our Director of Training. Message failed. Sorry please try again. Since 1994, Language Key has been providing generic and tailored business English and communication skills courses and workshops in Hong Kong and China to local and international companies to meet the specific needs of particular groups of employees in the workplace. In addition, the company publishes Workplace English Training E-Platform, an innovative e-learning solution to corporate training needs. Our soft skills courses are specifically tailored to the communication needs of Chinese executives.